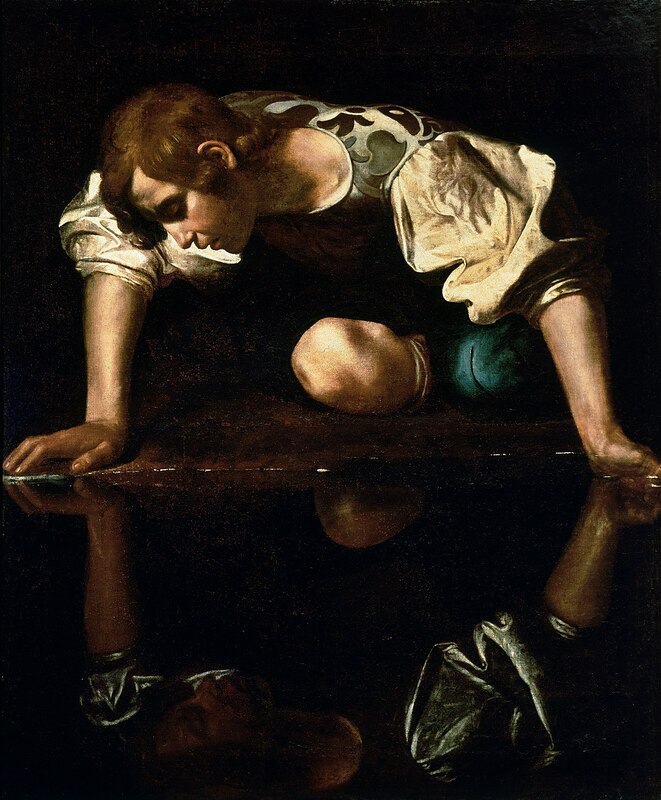 Do you know the story of Narcissus? Such a tragedy of a young man, who looked into a pool of water, seeing his image for the first time and found it so mesmerisingly beautiful that he could never bear to look away and died looking at his own reflection. Needless to say, in the world of selfies, it provides a stark warning to us! Its real meaning though is deeper and profoundly challenging. 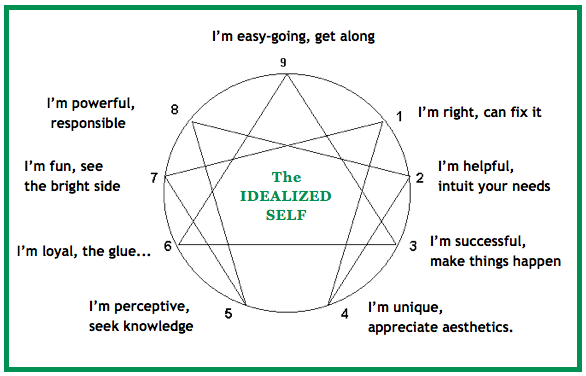 I have written on this blog a few times about the enneagram and the power it holds in causing us to confront our root issues. In truth, each of us has an ego that we protect and project to the world around us. It is the image of ourselves that we want others to see, the things we would like others to believe of us. But it is only a narcissistic projection, a fake image that we portray, perhaps the image of ourselves that we are in love with or would, perhaps, like others to love. Our life’s work is to own up to the ego we have created and instead become our true selves, which enables us to become a gift to others. This is our deepest, spiritual healing. 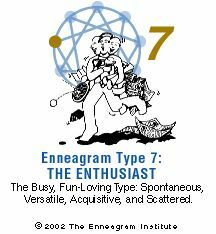 My ego projection is that of a Type 7. I project to those around me that I am an enthusiast, an activator, a visionary, full of fresh and new thinking. I am fun and fun loving, I am an activator, a leader and generous. I so easily love this image of myself and what others think and say about me. But truthfully, I am and do those things because I am, for the most part, avoiding pain. There is, if you like, an inner child or shadow, I am trying to protect. A child who didn’t feel content and did not like pain I encountered early in life. So, in order not to feel that pain, I bury my true emotions and project to the world that “I am ok”. I may not be, but I want you to think that I am. And truthfully, I most likely think that I am ok, because I am a “head type” and so I process things very rationally. In any given moment it is often hard for me to know what I actually feel, because I bury my true emotions so that they do not overwhelm me and I do not have to feel any pain. And if you don’t ask me what I’m feeling I don’t have the language to tell you and even if you do, it will take me an enormous amount of energy and courage to really feel whatever it is that I am feeling. And so, in order to bury that pain further I encounter my root sin, which for a Type 7 is gluttony. 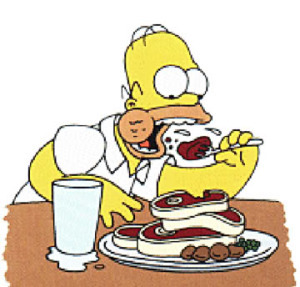 This gluttony does not have to be for food, though in my case it often is – I do love food! But it is also a gluttony for fresh or exciting or stimulating experiences – living life to the max. It can lead to such a rushing and business, so that life is never boring and I do not have to be still too long enough to encounter anything particularly negative. This can easily lead to addictive tendencies e.g. to social media, to creating a fantasy world or to always moving onto the next new thing, leaving those around me feeling caught up in the whirlwind or a bit used, abused and taken for granted, whilst the ‘Andy Show’ rolls on through town. So, what do I do about my narcissistic ego projection that I want the world to believe of me and that I rather love? Well, I can stay as I am. I can continue to let everyone know that “I’m ok”; or I can fall over The Stumbling Stone and receive the invitation to accept just how overwhelmed I feel sometimes; that there is a deep dissatisfaction within me that drives my gluttonous behaviour to cover over my pain. And as difficult as it may be, there is no other salvation for me, no other way to find the simplicity and contentment I long for and to become the gift I can be. Does it mean if I accept that invitation that all my struggles stop, that my ego will die and that my sin will no longer trouble me? Well….yes and no! There is a death of the ego, but it keeps rearing it’s ugly head and so needs a daily death and some days it dies more than others. And when I’m running from pain and feeling overwhelmed, gluttony of one sort or another will too easily take hold. But always in my path is The Stumbling Stone, inviting me, instead, to walk the narrow path, the path less trodden, the path less looked for because it means walking through a narrow gate in which the ego, I love too much is stripped off me. What I so easily forget is just how heavy and tiring that old ego is. To have it removed with surgical precision and find a way to walk that is so much lighter and less burdensome is pure joy. No more pretence, no more projection, just me, as I am, loved at the very core of my being. No matter who you are, you too have an ego that you are projecting to the world. Your life’s work is to recognise that ego and choose which path you will walk. For a Type 2 you project that you are loving and helpful. For a Type 3 you project that you are successful and outstanding. For a Type 4 you project that you are sensitive and special. For a Type 5 you project that you are perceptive. For a Type 6 you project that you are reliable, a loyal skeptic. For a Type 7, like me you project that you are enthusiastic. For a Type 8 you project that you are strong. For a Type 9 you project that you are peaceful. For a Type 1, you project that you are honest, hardworking and orderly. The invitation to each of us to fall out of love with our ego and become our true self. Then we can say, like God, I am who I am.